Total eclipses are rare. 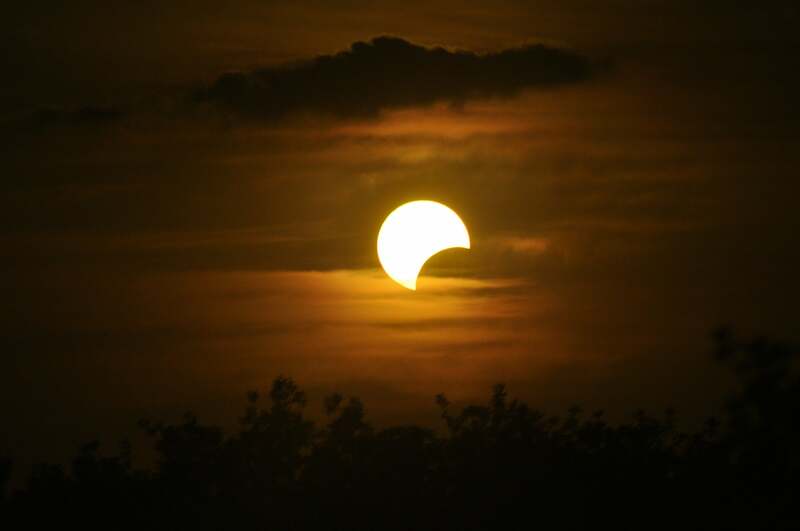 While the entire population of North America will be able to see a partial eclipse, only those in a 70-mile-wide curved strip from Oregon to the Carolinas will see the sun completely blotted out by the moon. Beyond almanacs and histories, in science fiction eclipses often serve as a way to reveal humanity’s place in the cosmos. Ed Finn, founding director of ASU's Center for Science and the Imagination, cites Isaac Asimov's short story “Nightfall,” about a civilization that lives in permanent sunlight. Every 2,000 years the civilization collapses because of a cyclical total solar eclipse. A team of scientists prepare themselves for the coming darkness, but they did not predict the impact of seeing millions of stars for the first time, a sight so overwhelming that they succumb to madness.